Exactly 100 years ago, on the fateful morning of July 24, 1915, 844 lives were lost in a matter of minutes when the SS Eastland rolled into the Chicago river, forever changing the city's riverfront. But until the 100th anniversary of this generation altering tragedy, awareness of one of America's worst maritime tragedies barely registered on the radars of native Chicagoans or the city's many tourists. Today, two grandchildren of one of the survivors and their families set out to make sure this tragic moment in Chicago history is never forgotten. 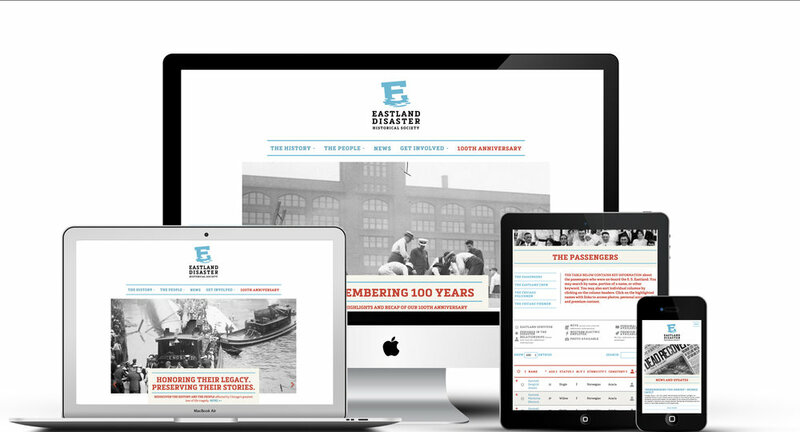 Since founding the Eastland Disaster Historical Society in 1996, many generations of families with ties to the Eastland Disaster have been reunited and a whole new generation of Chicagoans and tourists have been reintroduced to a vital part of their city's history. 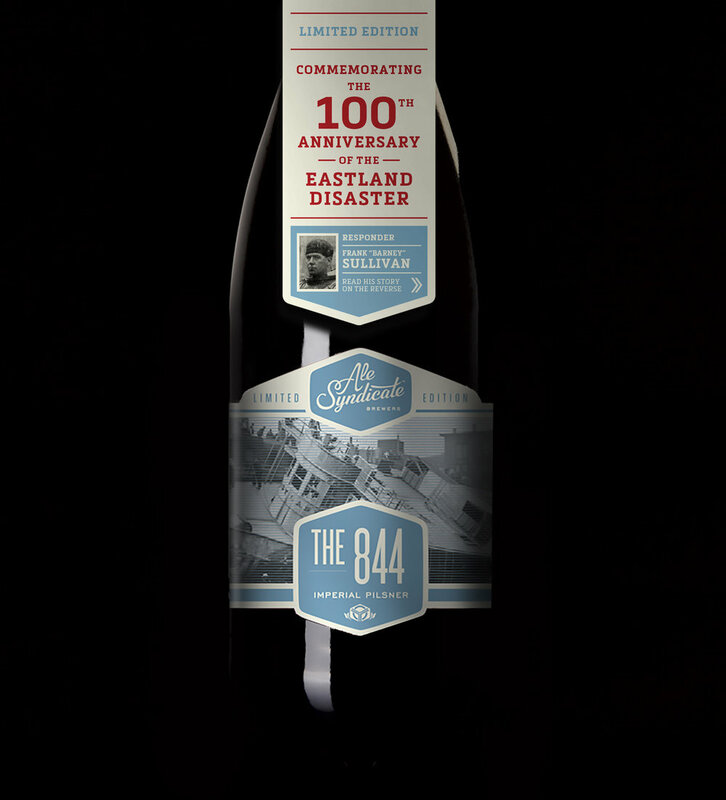 As part of the 100th year commemoration, I helped with concepting a new Eastland Disaster Historical Society logo and website, packaging for a 100th anniversary commemorative beer bottle, as well as crafting copy for marketing collateral, amongst other branding elements. As part of the 100th commemoration, the EDHS partnered with local brewery, Ale Syndicate, to craft a custom beer in memory of the 844 innocent souls taken on that fateful morning. The beer itself was inspired by the Czech heritage of the many Western Electric passengers, who were to travel on the SS Eastland to their company's annual summer picnic in Michigan. Bottles were limited to 844 and hand numbered. 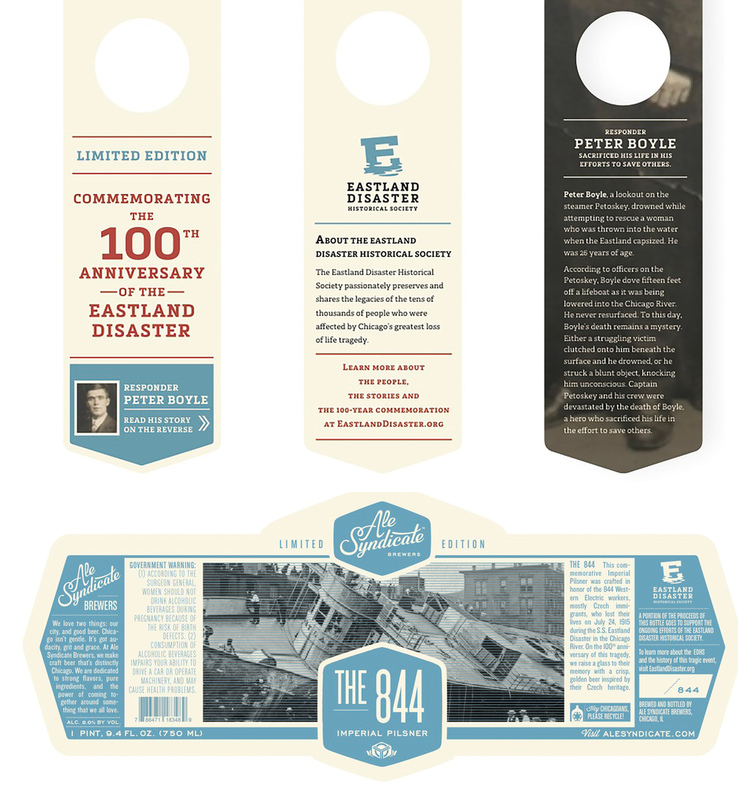 I created the bottle copy description in-line with Ale Syndicate's brand, as well as created neckties that featured stories of 3 Eastland Disaster victims, survivors and responders.